OOPS! you don’t have access to thE TOOLBOX yet! 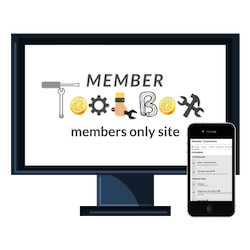 If you’re not yet signed up for the Member Toolbox, which even includes a free membership option, you should definitely check that out here and become a member. You’ll get access to this content and oh-so-much-more, including: 6+ months worth of easy to prepare real food meal plans with prep guides, challenges, step-by-step online courses, cheatsheets, checklists, supplement protocols, video trainings by specific symptom and health topic, and more. If you are already a member, then it looks like you’re not logged in. Just enter your details in the login form below to access this content.